Follow Global Revolution Comix on Facebook for more! 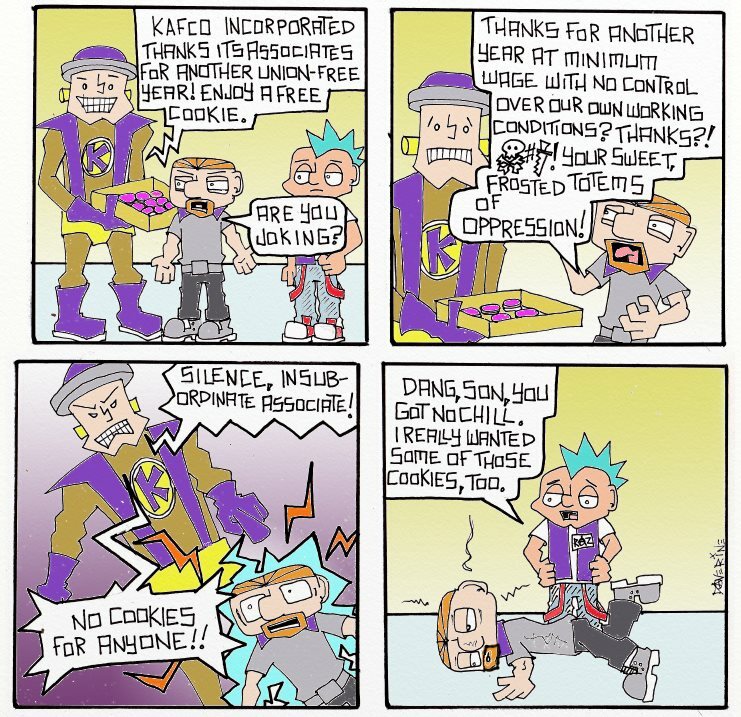 Follow globalrevolutioncomix.com for more Welcome to Kafco and other great comics. Like Global Revolution Comix on Facebook to keep up with Welcome to Kafco, The Unionizer, and other great comics.